Discover Bhutan's Quaint Eastern Frontier, where tranquility, pristine natural elements and its quaint appeals are still order of the day. 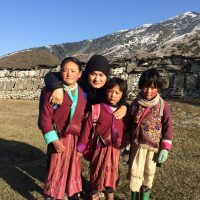 In the fast changing world, where a subject tend to outlive its relevance in a hurry, Eastern Bhutan Tour in particular contradicts the very idea. As it instill a sense of pulsating stillness. Its pervading quaint charms, exhibits an impression where time have come to grinding halt long time ago, in a way, far removed from the melodrama of modern world.This region popularly called eastern circuit, over the time, have seen only few visitors. It’s least explored, owing reasons to well guarded isolation, largely, contributing in retaining its tradition, cultural, natural elements in nascent and pristine form. 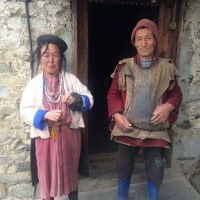 This journey not only expose you to the natural beauty of the regions, it’s social, cultural, traditional dimensions and some of the oldest spiritual practice in the country but also unique community of Brokpa in Merak.The trip solely focus on Bhutan’s oriental quaint frontier with port of entry and exit in Samdrup Jongkhar – a sleeping town in far east. 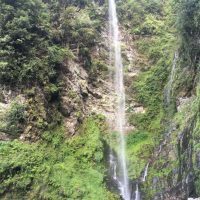 The journey commences from pick up from Gawahati in India and take its course through Samdrup Jongkhar, Trashigang , Trashiyantshe, Radi and Merak. 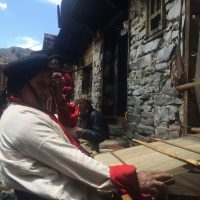 Discover some major landmarks monuments, visit to local weaving villages – and its trademark back strap wooden loom, manufacturing finest quality textile, using traditional dye and introduction to the exotic community of Merak and more all along the way. Along the course, in few places the accommodations especially in Radhi and Merak are simple and basic in guest house or farm house. Perhaps it add charm of its own. And also some hiking to Merak and short walk to visit the villages. Some long drive are interrupted in between by the visit to roadside villages.This is certainly different tour on offer than our conventional ones. This was conceived out of our past satisfied guests request to see more of classical Bhutan in its quaint villages and vegetation. This is form of tribute to all our past guests. Meet the representative and transfer to Samdrup Jongkhar (2-3hrs). After completing border formalities, enter Bhutan side and briefly stroll around. Instead of staying in the town, we will drive another 45mins up the hill to a newer and slightly better hotel than in the town to Hotel Trashiling, Deothang. 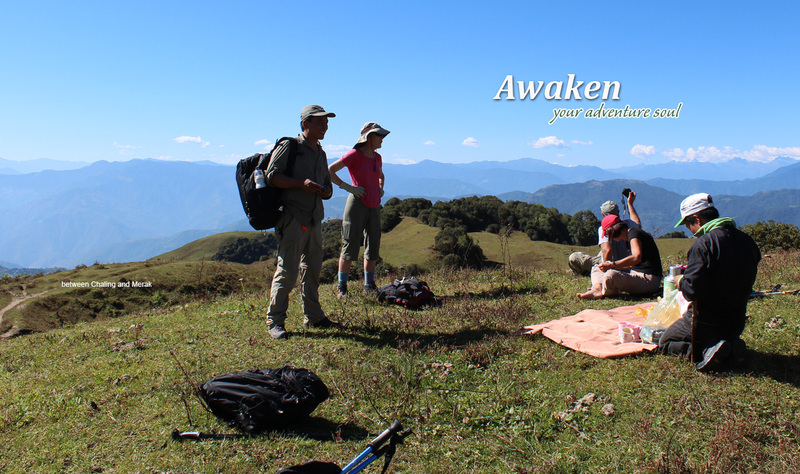 After breakfast, we ‘ll drive north to Trashigang, with the gradual gain in altitude, change in vegetation is distinct. We will pass through number of villages and we will stop in some of them. Today is fairly long journey that could take over 6hrs. Overnight in a decent hotel: Druk Deojothang or Lingkhar. After early breakfast, drive to Trashiyangtse using a lower road via Gomkora temple. It should take less than 3hrs and with a stops along the way, we should be there in time for Lunch. Trashiyangtse is a small, quiet town but it boast of production of finest Wooden Bowls and Containers and a School for Traditional Arts. Visit the School (when in session) and see their art works. Visit the Wood workshop and then visit famous Chorten Kora, a stupa that was built as replica of Boudanath in Nepal. Overnight in a simple and clean Guest House /Home stay. and on the way back visit Gom Kora Temple. *Every spring Chorten Kora comes alive with festival, which is one of the prominent festival in eastern Bhutan. Although remote, it draws large crowd from all over the country. Following breakfast, retrace our drive part of the way and make a turn-off from Doksum towards Ramjar, Bartsam and Bidung villages. These are some of the largest rural settlements in Eastern Bhutan. 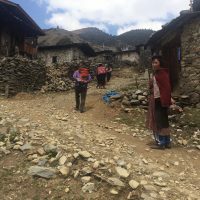 We will stop and explore the area, meet locals, visit their homes and descend to Ranjung, a small satellite town of Trashigang. Then a short climb up the hill is Radhi village, surrounded by vast expanse of terrace rice-field, its aptly considered as the rice bowl of eastern Bhutan, and with sub-tropical fruits. 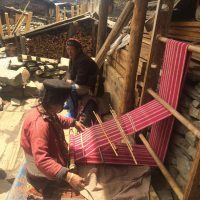 Not to miss is to witness the women folks in action in traditional back strap loom using raw silks and traditional dye, to make a fine quality textiles locally called “Burha”Overnight in Home Stay/Guest House. After breakfast, today the whole day will be devoted to visit in and around the Merak village. 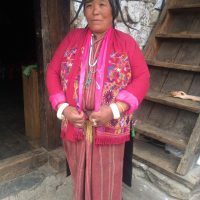 It involves visit to the local home, if possible school, interaction with people and delving deeper into their their social, cultural and religious structure of this unique community. 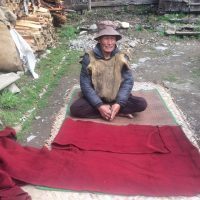 Merak is a large village with about 60 or so households, located at an elevation of 3480m. After early breakfast, retrace our drive back to Trashigang, probably using the local vehicle for the first part and later getting back into our own vehicle. Upon arrival in Tashigang, visit Tashigang Dzong (fortress/monastery) and check into your comfortable hotel. Group SizeAny number of participants. 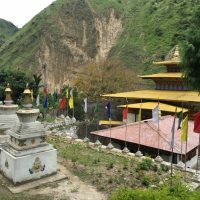 Trip AccommodationSimple hotels/Guest Houses (best available in Samdrup Jongkhar and Trashigang). In Radhi and Merak we use only available simple guest house or farm house stay. 3. Tarashigang to Trashiyantse - 55 kms - 2 hrs. Trip SeasonsDuring the month of May & June, it can be hot especially in Samdrup Jongkhar and Tashigang. But substainically pleasant in Radhi and Merak area.Monsoon also influence the region in july and August. Rest of the months are best time to travel to the region. 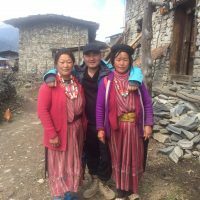 Festival like Trashigang, Gom Kora festival and some indigenous community based ritual in Merak can add a new dimension to your experience which falls during best time. Starting from low season USD$ 1400 – 2100, also it is based on number of participants and travel dates. Especially in Radhi and Merak, accomodation tend to get basic in guest house or Home stay, largely due to its remoteness. 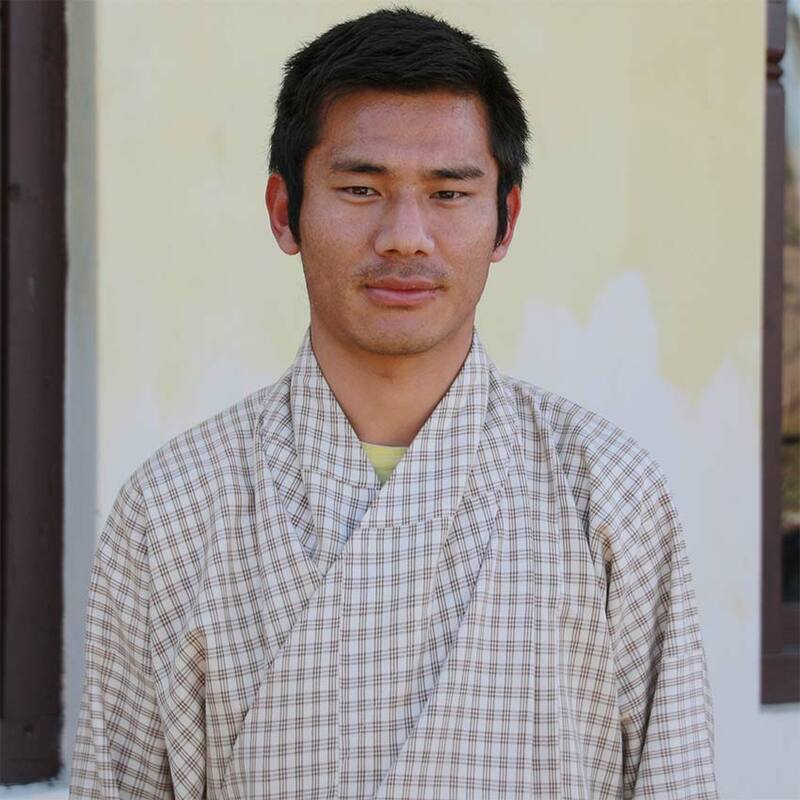 Kezang is a graduate from Gedu Business School college in Bhutan, but he was always interested in the Buddhist Philosophy, which made him alter his ambition to being a tour Guide. He is super polite and Buddhist to the core, because his parents and their parents were all affliliated to a monastery as a Lama etc. He comes from Dramtse region, between Mongaer and Trashigang. Sometime, its the exuberance, spirit, conviction and no dearth of motivation but importantly an intent to learn and introspect, these traits can arguably overwhelm the experience and maturity, in the same league, Yeshi Dorji is one among many young guns, whose sense of inquisition, spirited motivation, zeal to make a difference rub off to entire team. He walked into this trade at fag end of 2014, right after he completed his graduation and half a dozen months of intensive guide course. 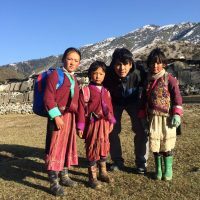 Yeshi Dorji did his schooling in Bhutan and in those early days, tourism left an indelible imprint in his young mind. it didn’t took much time to graduate from mere passion for tourism into his firm conviction. 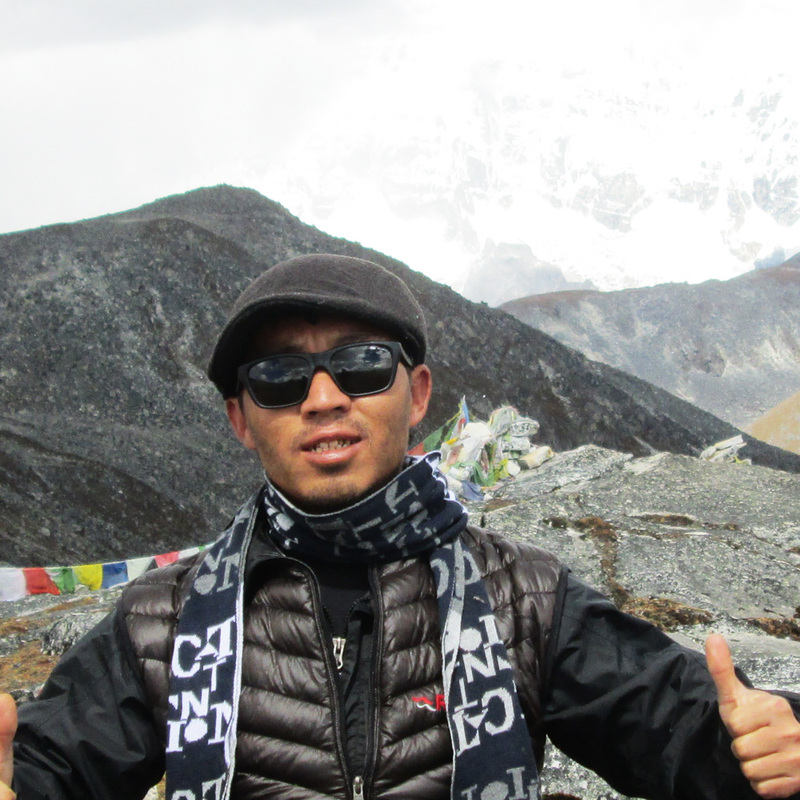 Armed with guiding certificate in 2014, he forayed first as freelancer and worked with top travel company in Bhutan. 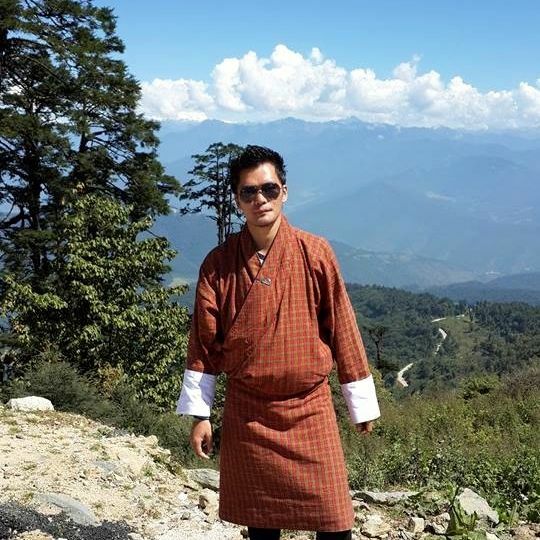 His second venture was as a in-house guide for Aman Resort Bhutan. Since last 2 years, he has been associated with Wind Horse and leading tours with flair, dexterity and competence. Rather than me writing about him, check guests’s feedback and insights, which speaks volumes. As world travelers, my wife and I have taken several organized l tours around the world. Most of them are with a big group of people. The itinerary is usually packed with touristy spots. However, with Wind Horse, it is totally a different level of traveling. It was the experience and culture learning that makes this trip so memorable. We loved both Assam & Eastern Bhutan. The locals were so welcoming and very friendly everywhere we go.This would not be possible without the excellent service from the Wind Horse team. The entire trip was so well planned and organised from A to Z. Anand, our Upper Assam tour guide, took all the worries away from us. Majuli is such a beauty with white sand, marshland and peaceful bamboo bungalow combined with friendly people make Majuli island inviting for a remote retreat. Whereas Kazaranga is a wild life game sanctuary especially the great one-horned rhino. 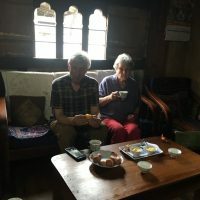 In Bhutan, our two most memorable experiences are the horse back riding, trotting with Sonam in Bumthang and climbing the Tiger Nest Monastery in Paro with Pema. There are not many tourists in the East. The road is bad but continue to be improved. Life is simpler and people are friendlier. In addition, the Wind Horse team were so flexible and accommodating. On the last day in Paro of Bhutan, we forgot to bring our trekking walking sticks. Pema was so nice. He managed to get us 4 walking sticks from the office within a short time of notice. The team has gone extra miles to WOW their customers. This tour has made an impact on our traveling experience. We will definitely recommend Wind Horse to others. Hope that we will have Wind Horse again on our future tours. 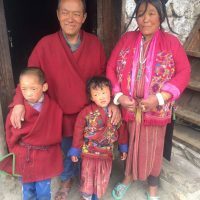 I visited Eastern Bhutan with 3 other friends and family on a custom tour with WindHorse. It was my 2nd time going with WindHorse. The first time I joined the 13-day Drukyul Walking tour and I was mesmerized by the landscape and pristine beauty of Bhutan. So I decided to come back to see Eastern Bhutan which is known to be less touristy. Going on a tour with WindHorse one was assured the top quality of service. WindHorse prepared everything from how-to-prepare, what-to-pack, visa to greeting and touring without a hiccup. 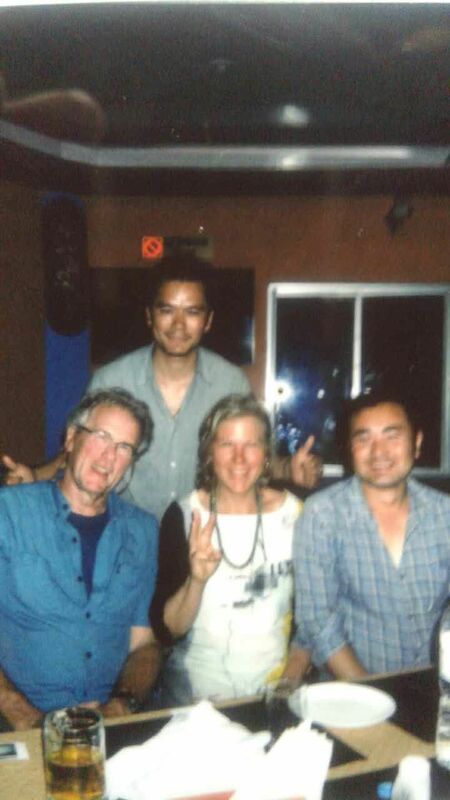 I enjoyed very much emailing with Jambay, preparing for the Bhutan trips. We entered Eastern Bhutan from Guwahati, India. We got transferred by car from Guwahati to the border town of Bhutan, then we were handed over to the Bhutan tour guide. Due to a strike at the border of India, the WindHorse van could not reach Samdrup Jongkha on time to pick us up. The tour guide Sonam had to go by taxi all the way to Samdrup Jongkha to meet us at the time we reached the border. We were so happy to see Sonam although the van did not arrive on time. Thanks to Sonam for arriving Samdrup Jongkha on time for us. Sonam took care of our visa at the border. Since the Windhorse van had not arrived, Sonam got us a taxi to get to the hotel. The Windhorse van arrived the hotel just a little bit after us. What a relief ! We visitied Trashigang, Trashigangtse, Rhadi, Yongkola then drove to Jakar. We visited monestaries and schools. We watched a football game at an elementary school. 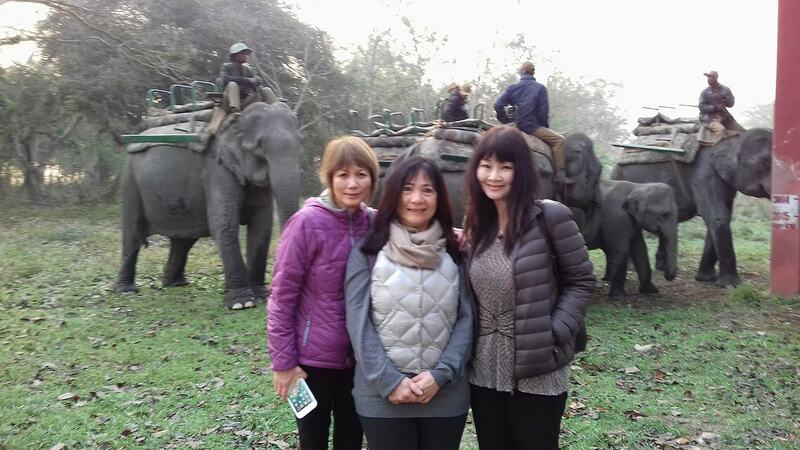 What a lovely experience in Bhutan. Yongkola is a paradise for birding. I chose to stop in Yongkola not because I am a serious birder (in fact I know nothing about birds) but because I wanted to stay deep in the forest. Due to our choice to stay in Yongkola we were mistaken for serious birders and got laughed a lot on how well we were prepared for bird watching (with no bicular :-)). Yongkola is very remote, beautiful and quiet. It was exactly as I imagined. We took a long walk in the very early morning to spot birds. The air was very cold, crisp and fresh. The walk was actually on the National Highway, passing through a deep forest. Only bird chirping sounds broke through the silence of the forest. Our tour guide Sonam was very serious in spotting birds to show us but we were just happy walking on such a peaceful morning. I was most excited when we drove from Yongkola to Jakar, on the zigzagging highway. That part of the highway was my favorite section. The scenery was outstanding. I was so excited seeing snow as we approached Thrumpsingla pass which is the 2nd highest mountain pass of Bhutan. As I love cold weather and high elevation, the snow in Thrumsingla pass really excited me. We stopped and walked out in the snow. Our tour guide Sonam and our driver Dawa hung prayer flags. It was a memorable moment. Since I liked Jakar so much from my 1rst trip, I chose to come back to Jakar again in my 2nd trip. After the 2nd trip, I still vote Jakar my favorite destination in Bhutan due to its high attitude, beautiful and pristine scenery. 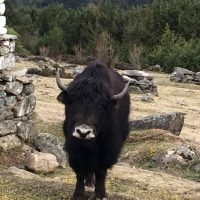 As Jakar is far from Paro, it is still not yet inundated by tourist as in Western Bhutan. Our original itinerary for Jakar was to do sightseeing and visit monasteries. However Sonam came up with a brilliant idea of giving us an introduction to horse riding in Tang valley instead. At first no one seemed to be excited about the suggestion. But the horse riding adventure turned out to be the highlight of the entire trip. Although I had some difficulties with my stubborn horse, I had to admit that horse riding was the greatest adventure. Despite the challenge of being a newbie, the ride was wonderful across beautiful meadows. The scenery up high was gorgeous. Thanks to Sonam for such a wonderful recommendation and making the effort selecting the right horse for each of us. To me, the horse riding adventure was the best event of the trip. 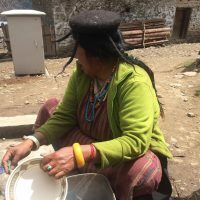 After Jakar, we flew to Paro, and met with another WindHorse tour guide, Tampas,, who gave us a short tour of Paro. The following morning Tampas took us up to the Tiger Nest. Learning from my prior experience, I recommended to start the climb early to avoid the heat and crowd. It was the best decision to start at 6:30am.The cold air in the morning made the walk up to the Tiger Nest so much easier. We completed the round trip in 6.5 hours at almost 2:00pm. We concluded our private tour of Bhutan in Paro. Sonam was very funny, knowledgeable and did not miss anything from the smallest facial reaction to hints of complaint from the customers. Sonam was an experienced horse rider and a good birder. Tampas was also great. He carried our bottles of water and clothing in his backpack, going up and down the Tiger Nest. Thanks so much, Tampas. 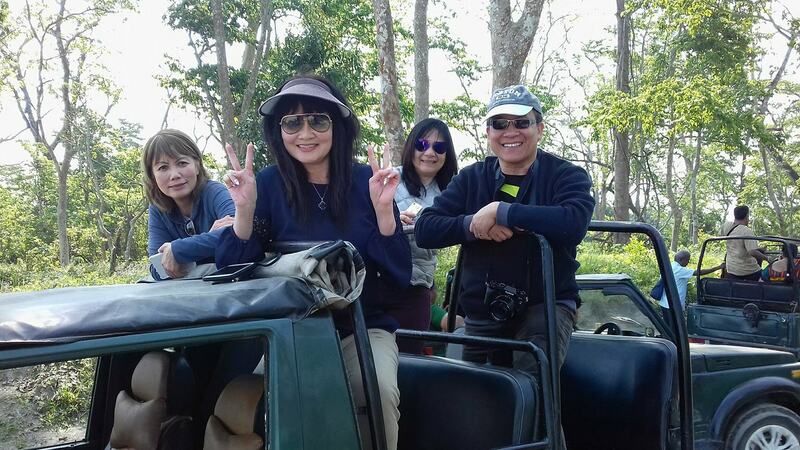 I want to leave the best for last: our driver, Mr Dawa, always with a smile on his face, was the most gentle person who helped us a lot with our luggage and food on picnic days. WindHorse service is always outstanding. One cannot expect less. I am writing to add my comments to those of Nancy, who wrote you yesterday. The trip in Bhutan was a total success. 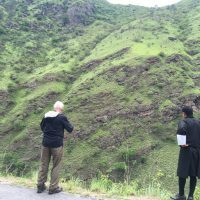 Eastern Bhutan gave us the rural, agricultural and indigenous views which we sought, and which your tour description promised. 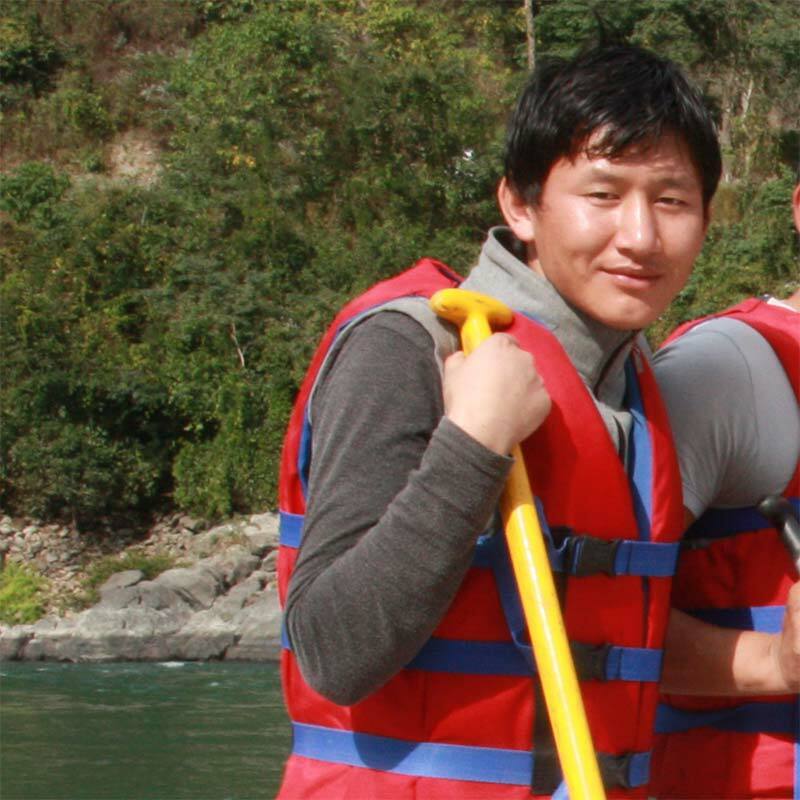 Yeshi is an exceptionally talented guide. His command of English is very strong and, because of this ability and his wide knowledge, he was able to provide a useful answer to every question we had about Bhutan and it's culture, history and people. He is personable, cheerful, friendly,accommodating and helpful. He can't be beat! Our drivers - Sonam and Dharmindrah - were skilled, safe and fun to be around. Please pass on my thanks and praise of all of these people. We had the ultimate Bhutanese cultural experience and credit the success to Yeshi Dorji who guided us skillfully into Buddhist culture. 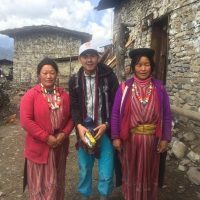 We were able to have so many questions answered adroitly and with a depth of understanding that Yeshi was able to convery with his English language skill. 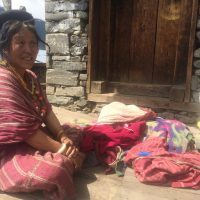 The trip flowed so smoothy as we visited families, camped, walked about villages and visited Dzongs, etc. 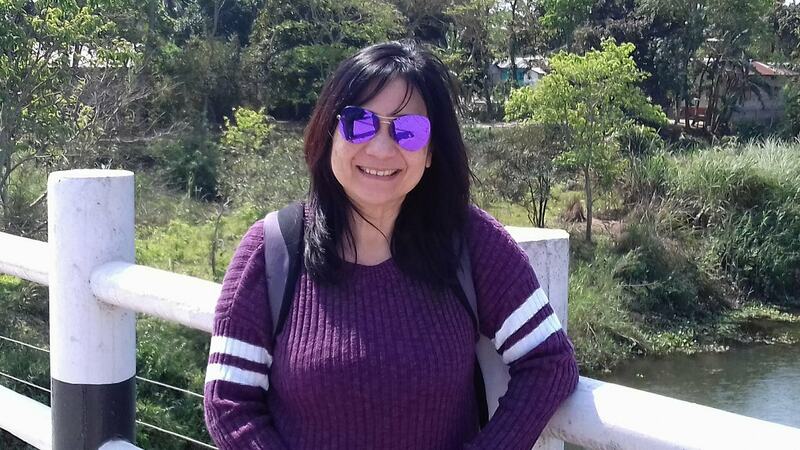 Yeshi possesses a sincerity and kindness that I believe is rare, at least in America. He is a delight to share time with. My husband and I were treated to such respectful and kind thoughtfulness. Another gift Yeshi possess is the ability to talk to anyone with apparent ease and effectiveness. Oh how I wish I was in Bhutan right now. OF course the driver Sonam needs to be honored for his very safe driving. We enjoyed his quiet yet interested disposition. We felt safe the entire time and as Yeshi said if you feel safe then the happiness will follow and so it did. We had such a good time with both of these fine people. Darmindra was our driver for a dåay. We missed his delightfull cheeriness when he left. I could not imagine a richer, more complete experience than that which we had with Windhorse. I miss your country, your people, your culture. The experiences will be revisited for a very long time. So much gratitude to whomever paired us with Yeshi and Sonam. Landscape on the way, that makes the long drives worthwhile. 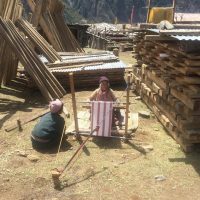 Merak lady behind weaving loom.